Four affidavits released by Palestinians behind Israeli prison bars provided new evidence of mistreatment during the pre-detention phase. A lawyer from the Palestinian Prisoners Society (PPS) quoted 21-year-old detainee Jihad Muqbil, from Beit Ummar, as stating that an Israeli patrol stormed his family’s home at predawn time on July 11 and wreaked havoc on the building using sniffer dogs, before they aggressively beat Jihad using rifle butts. Prisoner Hasan al-Jawabra, aged 25 and from the Arroub refugee camp, said Israeli soldiers ransacked his family’s home on July 11, 2018 and smashed the entrance gate, shortly before they subjected him to violent beating and dragged him to the Etzion detention center. 15-year-old minor Ahmed Rafat al-Badawi also said Israeli occupation forces broke into his family’s home at the crack of dawn on July 16, 2018 and beat him violently. At the same time, prisoner Hamdi al-Atrash, 27, said Israeli soldiers hit him in his injured knee. His frequent appeals for urgent treatment have gone unheeded by the occupation authorities. Head of the Popular Anti-Siege Committee, MP Jamal Khudari, said Gaza is on the verge of collapse due to Israel’s closure of Karem Abu Salem crossing and the confiscation of 2,500 trucks laden with goods for the tenth consecutive day. Khudari said over the past ten days, during which Israel has kept Karem Abu Salem commercial crossing shut down, Gaza started to run out of much-needed items, most notably fuel. He added that the Israeli occupation authorities have banned the entry of 1,000 vital items to Gaza. 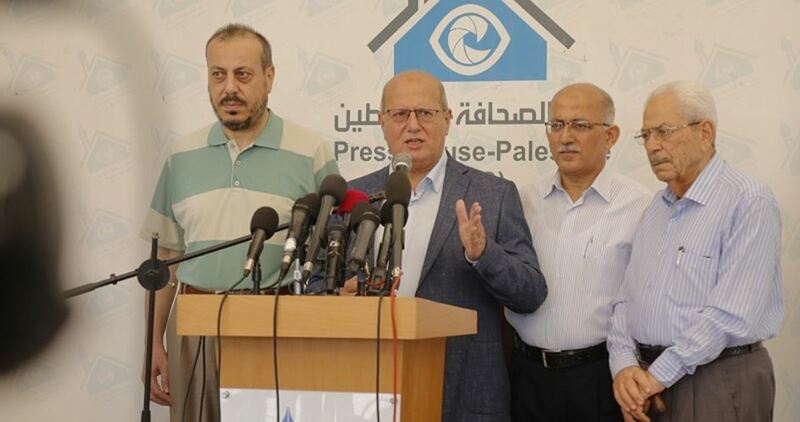 The Palestinian MP called for an urgent international action so as to lift the siege, unblock border crossings, and open a commercial passageway so to allow the entry of life-saving items into the enclave. He said Israel’s blockade and closure of crossing points with Gaza are illegal and contravene the international humanitarian law. Khudari urged the international community to step up pressure on Israel so as to backtrack on its penal measures and lift the noose around Gazans’ neck. Israeli foreign ministry spokesperson, Emmanuel Nahshon, on Saturday slammed US news network CNN and Britain’s BBC for their coverage of the Israeli aggression against the Gaza Strip on Friday. “Israel says one of its tanks targeted a Hamas military post in Gaza Saturday in retaliation for a border fence breach, one day after violence that left four Palestinians, including three Hamas militants, and an Israeli soldier dead,” CNN tweeted on Friday. He accused the news agency of “manipulation”. The wording of the CNN post, Nahshon pointed out, angered the ministry as it implied that the killing of the four Palestinians preceded the killing of the Israeli soldier. “CNN is attributing blame for the deadly skirmish to Israel,” he told Israel’s Yedioth Ahronoth, stressing that Hamas should be responsible for the Palestinians’ death. In the same context, Nahshon referred to another tweet that was posted by Omri Ceren, an American politician and national security advisor, who had criticised BBC for “misrepresenting recent events in Gaza”. “Israeli soldier ‘dies from gunshot’ is how the BBC reports on a Hamas terrorist shooting and killing an Israeli soldier. This is the new version of headlines about terrorist car rammings that say Israelis ‘hit by car’,” Ceren tweeted. “We in the Foreign Ministry are on guard 24 hours a day. We would not let international media deliberately distort the events taking place in Israel and in our region. We will respond to every distorted headline and demand its immediate correction” Nahshon added. The Qatari Committee to Rebuild Gaza announced yesterday that positions are available for Palestinian teachers from Gaza to work in the small Gulf state, the Shehab News Agencyreported. The Israeli Planning and Construction Committee has approved the building of 20 new housing units in the settlement of Matzad built on private Palestinian land, southeast of the occupied West Bank city of Bethlehem, Israeli Haaretz newspaper reported Sunday. According to the paper, the Israeli government approved the construction as part of the current government’s plan to expand the settlements east of Bethlehem. Last month, the government approved the construction of 500 new housing units in the Eldad settlement east of Bethlehem city. Palestinian teenager Ahed Tamimi could be released on Sunday, her father told the Anadolu Agency. Basem Tamimi said Ahed’s release is scheduled for 19 August but he expects her to be allowed out of Israeli jail this weekend. “The Israeli authorities usually do not inform the detainee or his family of the date of his release, but I think she will get a decision” to reduce her detention by 21 days, he explained. There was no information from the Israeli prison authorities on Ahed’s release. Ahed was given an eight month jail terms following a pleas bargain after video footage of her slapping an Israeli occupation soldier and forcing him off her family’s property went viral on social media. She has been held in Israeli detention since her capture in December last year. ALGERIA, PALESTINOW.COM — Two Palestinian scientists were found dead in an apartment in Algeria. Initiation reports point fingers to Israeli spying agency Mossad. 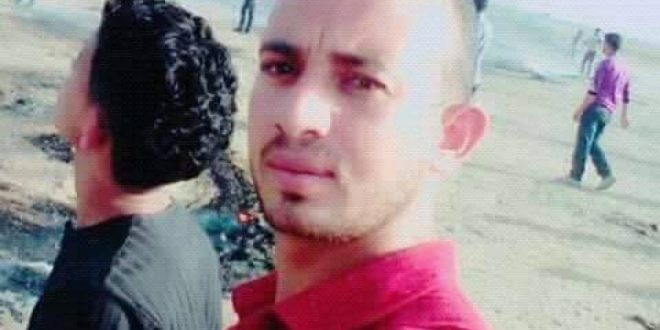 The two, identified as Suliman al-Farra, 33, and Mohammed al-Banna, a physician whose age was not reported, were said to be originally from Khan Younis in the Gaza Strip. Both were found in Al-Farra’s apartment. Palestinian embassy in Algeria told the family of one of the deceased that the two died of gas inhalation or due to a short circuit. Palestinian scientists and experts around the world have been killed in recent years in assassinations carried out by the Mossad. In April, engineer Fadi al-Batsh, was assassinated at the entrance to a mosque in Malaysia. Malaysia said “foreign agents” were behind his assassination. Later on, Israeli sources revealed that the Mossad carried out the assassination. Two years ago, the Mossad assassinated Mohammed al-Zawahri, a drone expert, who helped the Palestinian resistance, in Tunisia. 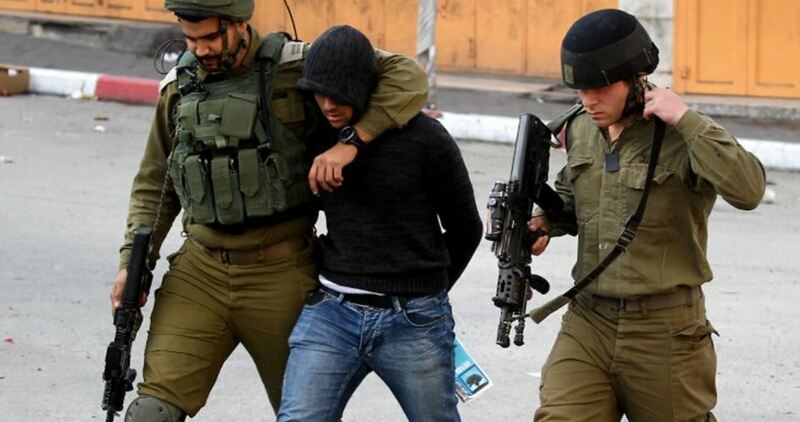 Israeli has a long history about assassinating and kidnapping Palestinians or people of other nationalities linked to the Palestinian resistance around the world. Dozens of Israeli soldiers invaded, on Monday at dawn, the Deheishe refugee camp, south of the West Bank city of Bethlehem, killed one child, injured two young men and caused dozens to suffer the effects of teargas inhalation. Media sources in Bethlehem said the soldiers invaded the camp, before storming and searching homes, causing damage. They added that dozens of youngsters protested the invasions, and hurled stones at the soldiers, who fired many live rounds, rubber-coated steel bullets, gas bombs and concussion grenades. 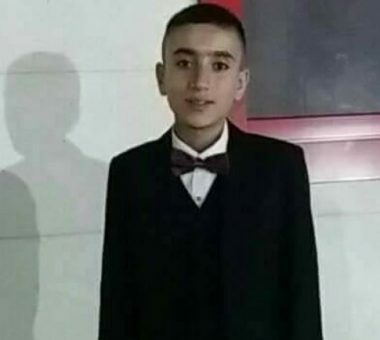 Medical sources said the soldiers seriously injured Akram Tha’er Mizhir, 15, after shooting him with a live round in the chest, before he was rushed Beit Jala (al-Hussein) Governmental Hospital, where he dies from his wounds. The soldiers also shot two young men with live fire, and caused dozens of Palestinians to suffer the effects of teargas inhalation. In addition, the soldiers abducted two young men, identified as Mohammad Adnan Abu Ayyash and Jamal Sar’awi. It is worth mentioning that the soldiers were extensively deployed in several areas of Bethlehem city, especially around the Deheishe refugee camp, before storming and searching many homes. An Israeli army drone fired, on Sunday evening, one missile at Palestinians on their lands near the parameter fence, east of Jabalia, in northern Gaza, wounding two. 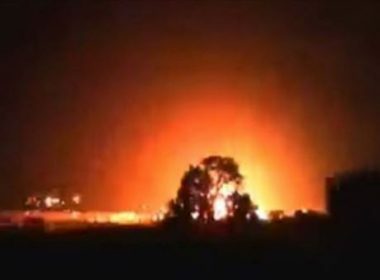 Media sources in Gaza said the Palestinians were east of Abu Safiya area, east of Jabalia, when the drone fired a missile at them. They added the two Palestinians suffered mild-to-moderate wounds, and were rushed to the Indonesian Hospital, in nearby Beit Lahia. Earlier Sunday, the army shelled a resistance center in Malka area, east of Gaza city.